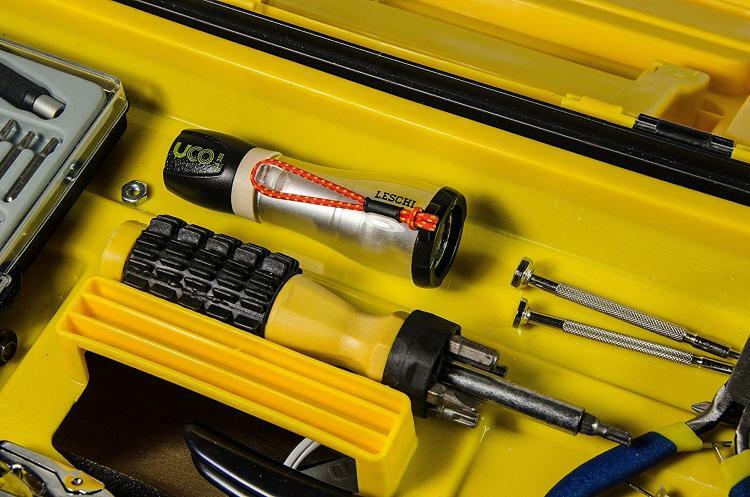 When camping, hiking, exploring, fixing some stuff around the home, or just experiencing a power outage, you're going to want a flashlight. 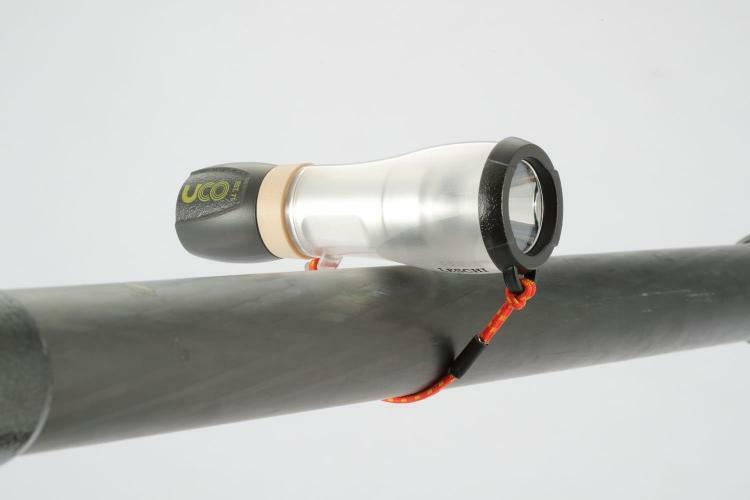 But you'll also probably want a lantern so that you can provide some light without having to constantly hold your flashlight up. 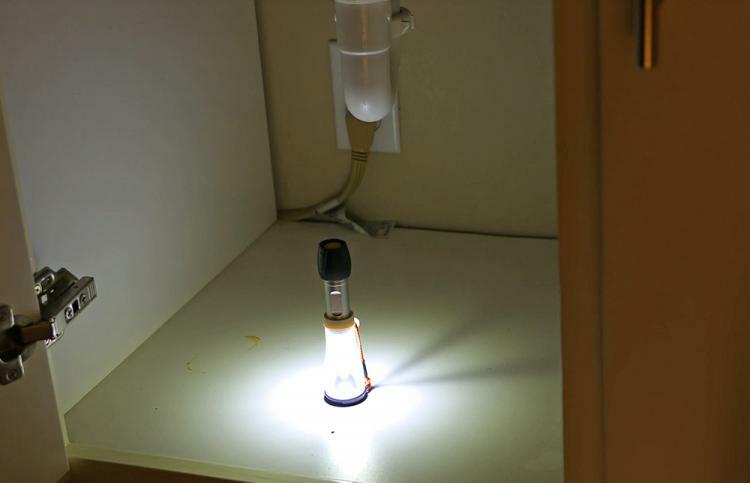 This is why this mini flashlight lantern is so handy. 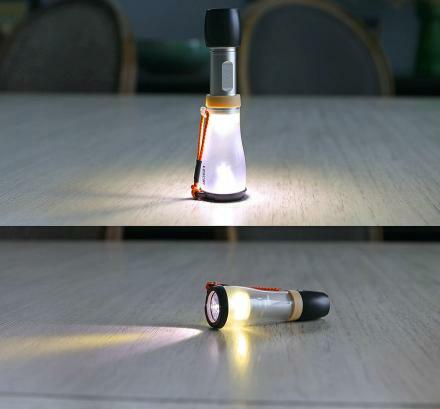 It instantly turns from a flashlight into a lantern whenever you need it to. 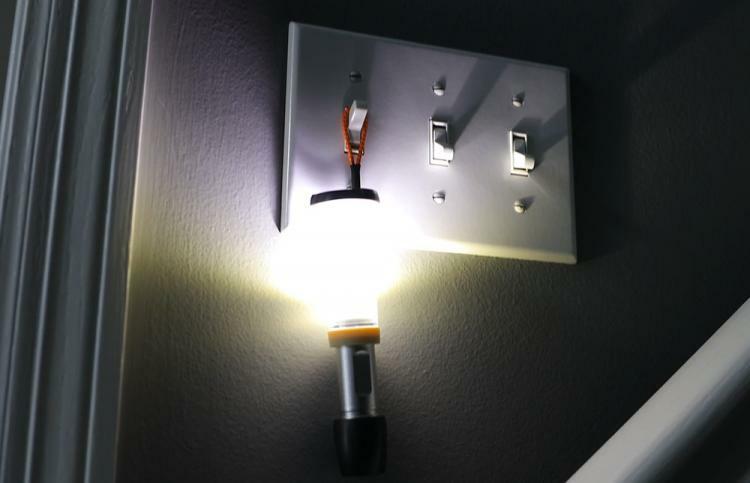 By default it works like a flashlight, just push the on/off button on the back of the device and the light will turn on, but once you'd like to use it as a lantern just pull the body backwards and it'll put a transparent sleeve in front of the light that turns into a lantern. 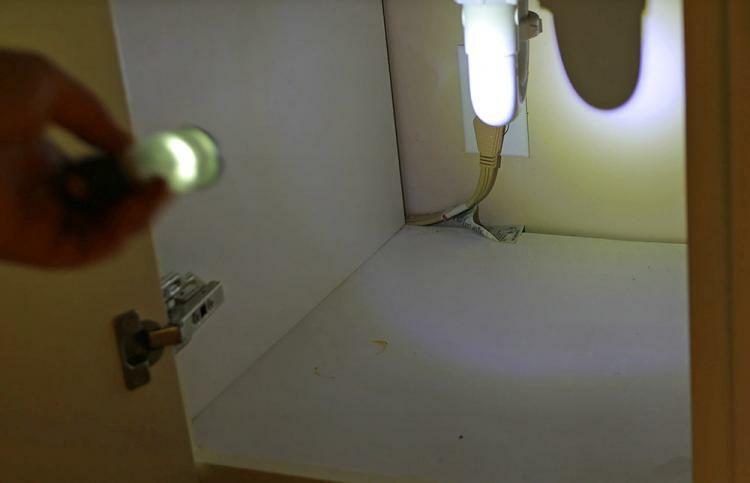 The transparent sleeve spreads light all around you instead of just pointing the light forward. 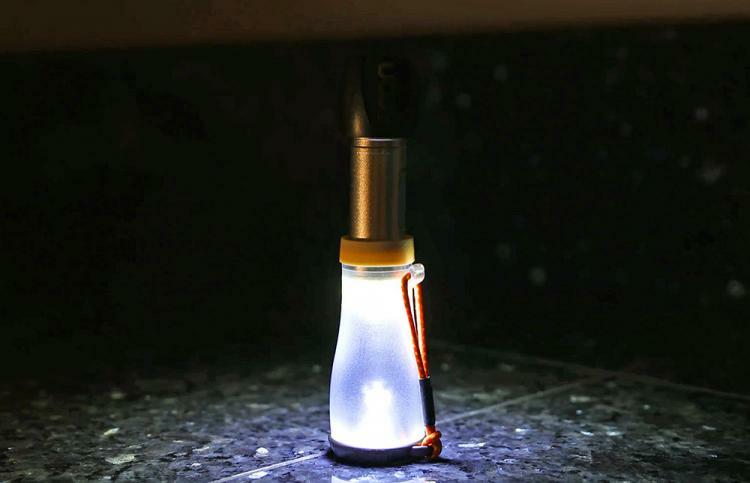 The mini flashlight lantern is the perfect tool to use when fixing some stuff around the house or camping, as you can easily spread some light around hands-free, without having to carry around a giant flashlight or a giant lantern. 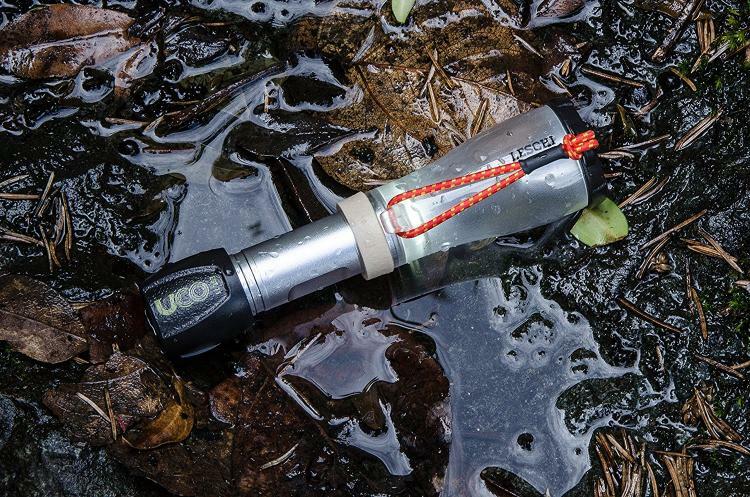 The 2-in-1 flashlight lantern even has a stretch cord that you can use to hang it up while in either flashlight or lantern mode so you can point the light into the perfect spot every-time. 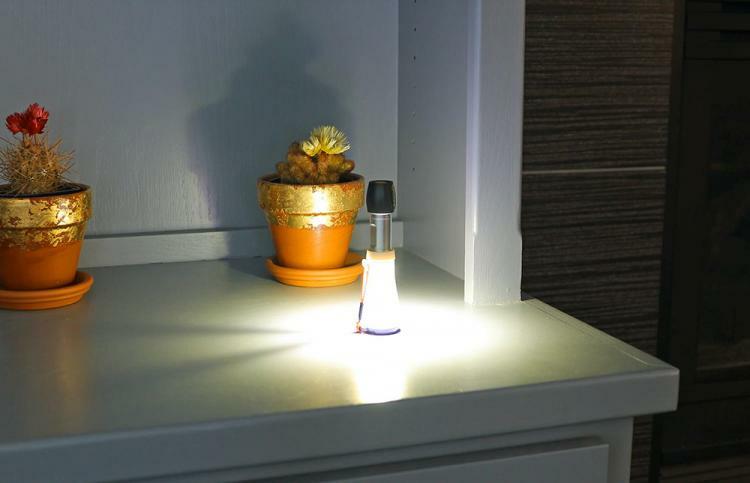 It even has three different light modes, including low light, high light, and an emergency mode which flashes the light on and off very quickly. 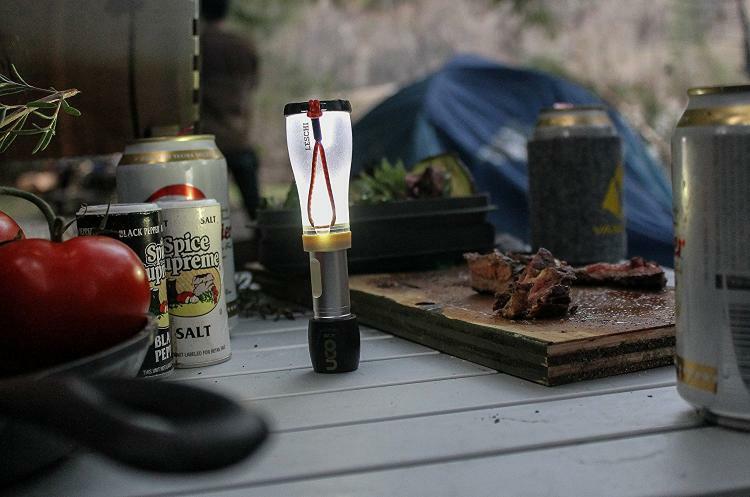 This awesome camping gadget is powered by 1 AA battery, is highly water-resistant, is super compact, lightweight, and rugged, comes in a few different colors to choose from, and uses a super-bright 110 lumens LED bulb. The mini flashlight lantern will last up to 4 hours on low mode, 2.5 hours on high mode, 7 hours on strobe mode, has a beam projection of up to 279 feet, and measures 5.2 inches long when opened in lantern mode, and 3.9 inches long when in flashlight mode. 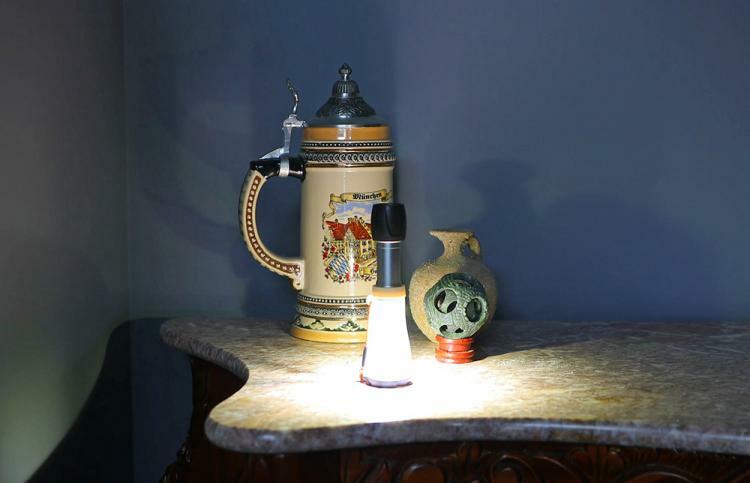 Check out the tiny flashlight and lantern combo in action via the video below.